Here's a mix that's surprisingly good. Add the Dark Knight to Mayan ruins to aliens and -- let's get ready to rumble! Comic-art icon Bernie Wrightson and Green Lantern scribe Ron Marz team up on this joint-concept collab. Batman and a squad of crack special-op commandos waltz into a literal south-of-the-border meat-grinder. 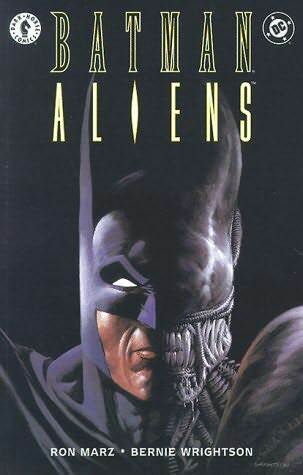 Looks to me like Batman might've bitten off more than he can chew. What do you think?